It’s common for skin tissue of the hand to become dry in winter months since the seasonably low humidity draws moisture out of the skin. If you work in a hospital, restaurant, or anywhere where you frequently wash your hands, this may also contribute to dryness. This is because every time we wash our hands, we strip natural oils from our hands’ skin, which provide moisture. 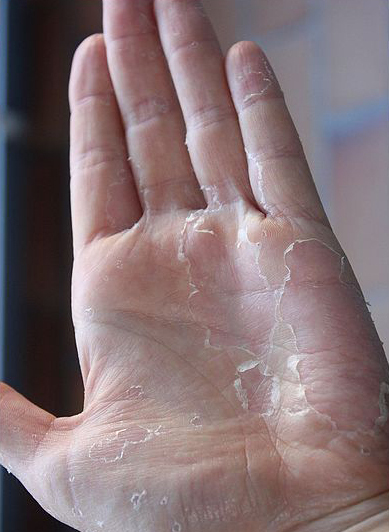 This can be easily remedied by carrying a small bottle of hand lotion or moisturizing cream to re-hydrate your hands whenever they are feeling dry. A lack of essential fatty-acids such as omega-6 can cause dryness, too. Foods like tofu and walnuts can help solve this. Trigger finger, a.k.a. stenosing tenosynovitis, is where the finger (usually the ring finger or thumb) gets locked into the contracted position and pops or snaps when you try to straighten it. This happens because the tendon becomes inflamed, making it harder to extend the finger. Anyone can develop this condition, but it is seen more often in women than men. It’s also more common in people who have to repetitively clasp or grip things in their daily work. 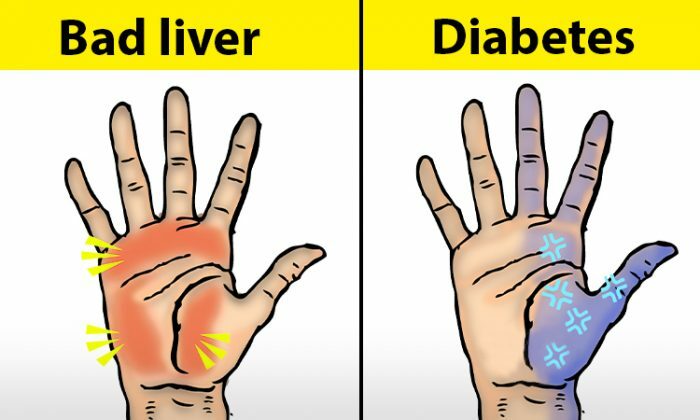 People with thyroid disease and diabetes also have a higher risk of developing trigger fingers as well. Everyone gets cold hands or feet from time to time—it’s only natural—but if your hands often feel cold even in warm temperatures, it could be a sign of a condition called Raynaud’s, which is characterized by a decrease in blood flow to the fingers due to cold, stress, or emotional trauma. 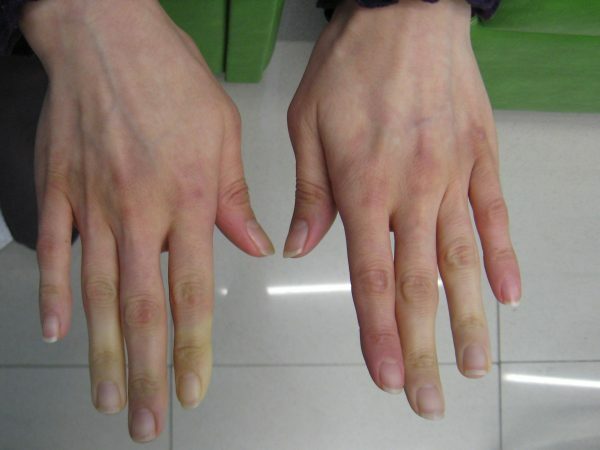 There are two kinds of Raynaud’s: primary Raynuad’s, which remains a medical mystery and occurs on its own, and secondary Raynaud’s, which may be a symptom of some other disease that can decrease blood flow or damage tissues in your hands or fingers. Some people may wake up with numb hands or with a feeling of pins and needles after sleeping with the wrists bent. This kind of temporary tingling is caused by pressure on nerves. In some cases, however, tingling hands, sometimes accompanied by itching and pain, may be a sign of nerve damage known as peripheral neuropathy (PN). It’s estimated that there are more than 20 million Americans, mostly older adults, who suffer from PN, which is often due to a combination of many factors, ranging from unhealthy habits such as smoking and alcohol abuse to diseases such as diabetes. 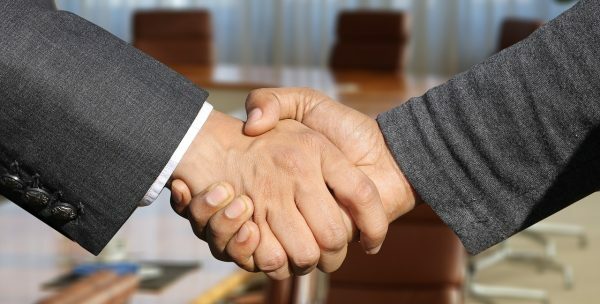 In the world of business, a limp handshake is often interpreted as a sign of nervousness or weakness. In the world of medicine, though, hand strength can actually show how healthy your heart is. According to a 2016 review, a weak hand grip has a strong correlation with higher risk of developing heart disease. Some researchers suggest using hand grip strength to measure risk of suffering a heart attack or stroke. Having shaky hands is not usually a big deal. Everyone has a little bit of quiver in their hands, which is called physiologic tremor. It can get more noticeable when you take certain medicine, drink too much coffee, or stay up late. But there are also various of disease-related tremors such as Parkinsonian tremor, a.k.a. “pill rolling.” If you find your hands repetitively shake like there’s a small pill rolling between your thumb and index finger, it can be a sign of early Parkinson’s. Breaking a fingernail is an annoyance everyone has experienced. If your nails are too weak, though, you may want to incorporate some zinc into your diet. Zinc not only helps you grow strong fingernails, but also helps boost the immune system. Zinc supplements definitely work, but zinc-rich foods such as nuts, yogurt, and shellfish are also excellent sources. Oh, did I mention vitamin A, vitamin C, and biotin? You probably need more of these, too. 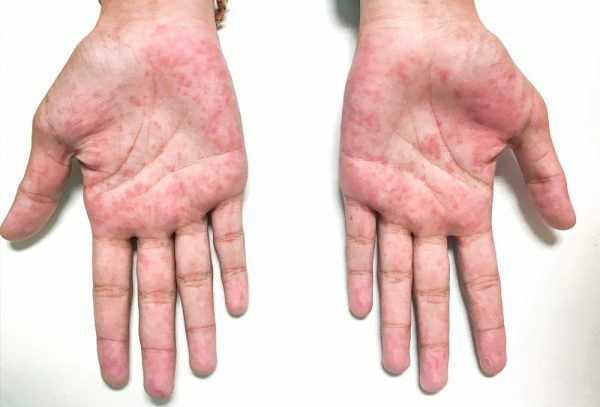 Red palms, formally-known as palmar erythema, is a condition where the lower part of your hands turns reddish. Sometimes the redness extends all the way up to the fingers. The condition itself is actually harmless. It can be the result of unusual hormone changes which bring more blood to the surface—and that’s why it occurs more often in pregnant women. In some cases, however, red palms can be a sign of liver diseases such as liver cirrhosis, hemochromatosis, and Wilson’s disease. Having fingers that look like sausages can be a result of consuming too much salt. The body works hard to maintain its delicate salt balance, which is quite easily thrown off. Taking in too much salt makes it more difficult for kidneys to filter blood and take out unwanted fluids, which causes fluids to accumulate in certain areas, including the hands. When fluids build up, your heart has to work harder to pump blood through the system, which then increases blood pressure, which in turn puts extra pressure on your kidneys and reduces their ability to filter blood. Limiting the salt in your diet can break this vicious cycle. Clubbed fingers is also called Hippocratic fingers because of Hippocrates, the ancient Greek physician who first described the condition more than 2,000 years ago. 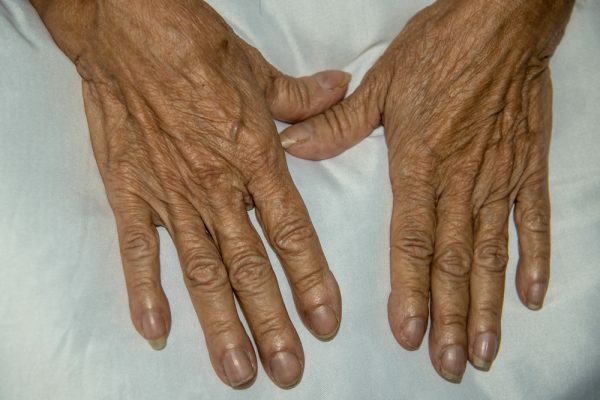 Although the exact reason why the ends of the fingers become enlarged to the point where they sometimes look like drumsticks remains a topic of debate today, this symptom has been associated with various of health problems. 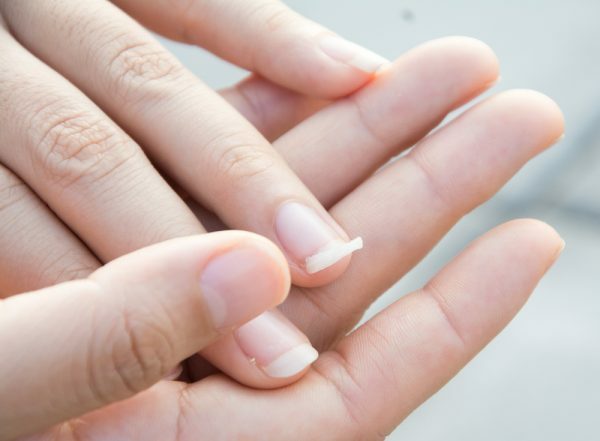 Certain diseases are known to inhibit oxygen from reaching your fingers and toes—the farthest extremities of the body—which causes the tissue under the nail plates to thicken and then causes the nails to bulge. 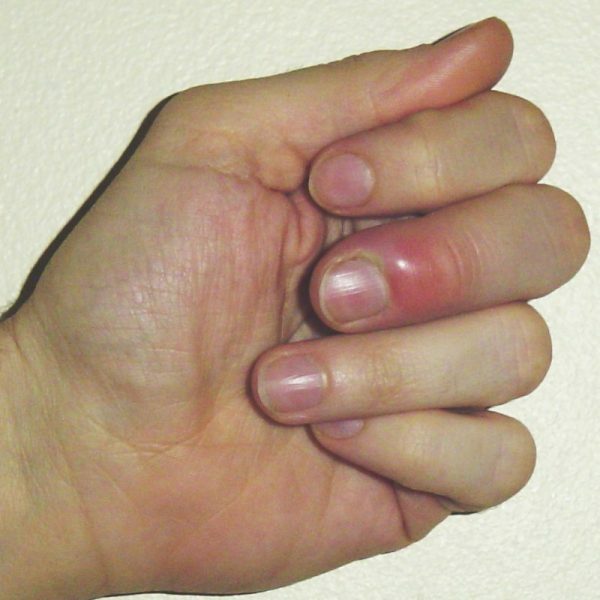 This may explain why finger clubbing often occurs in those who have lung conditions, which can restrict the body from getting enough oxygen. Such conditions include: lung cancer, cystic fibrosis, and bronchiectasis.